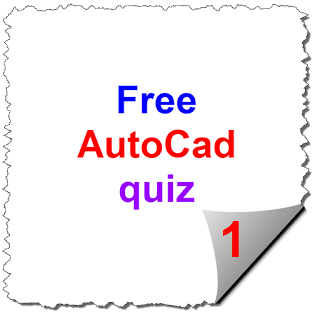 This Test (quiz) for how to use control keys AutoCAD which make users works sufficient and fast ,check your knowledge and will give refresh mind. these questions are free tutorials. 1. Which keys if pressed will hide and restore palettes, windows, and ribbons? 2. Which keys if pressed will Turns properties palette on/off? 3. Which keys if pressed will Undoes the last operation? 4. Which keys if pressed will make Copy with base point? 5. Which keys if pressed will Turns ortho on/off? 6. Which keys if pressed will Open the plot (print) dialogue box? 7. Which keys if pressed will Turns on/off Snap? 8.Which keys if pressed will on or off object Snap? 9.Which keys if pressed will Open the QuickCalc palette? 10.Which keys if pressed will Turns on/off the Command Line window?